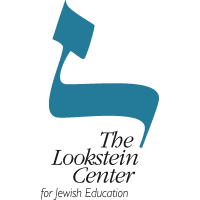 During the past years, the Lookstein Center has developed an innovative curriculum entitled Israel Throughout the Year. The curriculum is structured around themes of Asara b’Tevet, Tu B’Shvat, Yom HaAtzmaut, and Yom Yerushalayim. It provides four lessons for each date, for grades 1-8. It is comprised of 32 workbooks, as well as texts and links to online materials. Lessons feature diaries, simulations, time-machines, moral dilemmas, and debates. Through the curriculum, students encounter visionaries, pioneers, and heroes who struggled to reclaim the land, revive the Hebrew language, and establish the State of Israel. The Pincus Fund for Jewish Education is supporting a project to translate and culturally adapt the curriculum for use in Russian Jewish schools, and convert the current static PDF/printed version to an online digital format with dynamic and interactive features. The applicant will distribute the digitized material for use in a recognized network of day schools in FSU, such as Heftzibah or Or Avner. The curriculum easily can be incorporated into most school programs, even those with very limited time for Jewish Studies. Also, lessons can be assigned as homework, with ongoing tracking by the teacher. The project is producing 32 digitized workbooks. The curriculum’s dynamic and interactive features include: videos; educational games; interactive maps; primary source documents; images of Biblical and geographical locations; an interactive dictionary; audio clips and a recorder; simulations; interactive timelines; quizzes; a highlighting and bookmarking tool; a search function; links to reference works; a homework submission tool; and a shared homework site. The digitized material will be available on the internet to the wider public. The project is guided by an Advisory Committee, comprised of experts and at least 3 teachers from the relevant grades in schools in FSU. Work on the project began in November 2012 and will continue for two years. The work of digitizing the materialis will be outsourced to a professional publishing firm with experience digitizing educational materials. This includes adding hyperlinks, formatting the book for tablets, e-book readers, and pc’s; adding interactive tools for teachers; and adding search capabilities. The project includes online guidance for teachers on use of the curriculum, including video tutorials, introductory webinars, and a help desk. The Pincus Fund looks forward to continuing to support projects like this that will expand the reach of valuable content to different languages and a larger audience through the use of online platforms.